The prodigal returns after too long a break. 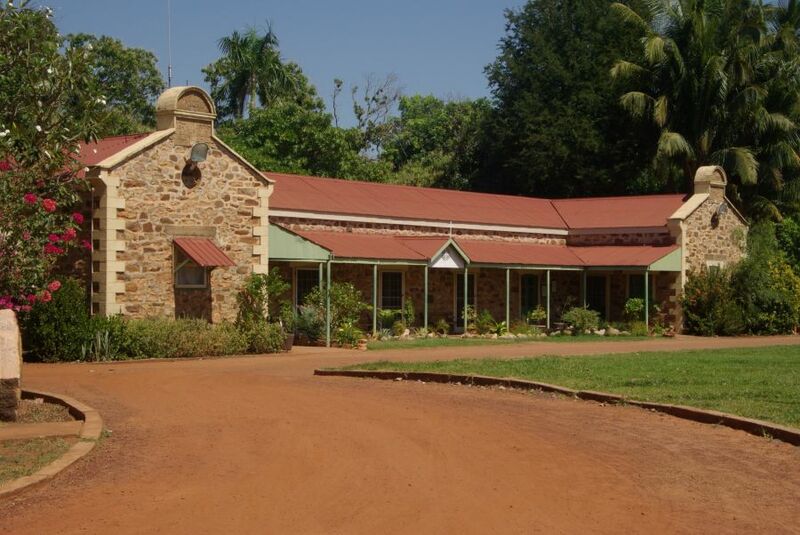 The last two weeks I have spent with my nephew Christopher, who was visiting this sceptred isle from his current home, the (former) Benedictine mission at Kalumburu, in the remote, vast and priest-starved diocese of Broome in north Western Australia (for which he has been accepted as a seminarian). Apart from visits to London, Lincoln and Bury St Edmunds, we went to Leuven, Cologne and Rome. It was a great privilege to be able to celebrate Mass with him at the cathedral in Cologne, as well as St Paul’s outside the Walls and St Peter’s in Rome. And it is the Mass that has my attention at the moment. Tomorrow I am off to Folkestone to talk to the deanery about the revised Missal. At Pentecost the Missal began to be used in Australia, liturgically a rather liberal region. The militant National Council of Priests in particular has been scathing about the Missal. So loins were girded to read the responses as they came to light. Lo and behold, the feedback seems to be positive. The Missal works. In the national newspaper The Australian an article records the reactions of a newly ordained 24-year old priest in Sydney and a 82-year old priest in Brisbane ordained in 1955, and still a parish priest. Both of them find in the revised Missal a stronger sense of the sacred and an enhanced emphasis on divine worship. The National Council of Priests is still unhappy, seemingly because no one asked them to help prepare the new Missal. Even more startling, and indeed heart-warming, was a piece by a Missionary of the Sacred Heart, 47 years a priest and currently serving the Church as parish priest on remote Thursday Island, off the northern coast of Queensland, Australia. He is no acerbic conservative. For Fr Laurie Bissett MSC, the new Missal was something he approached with trepidation, especially in light of all the doom-saying. Instead he has found in the revised Missal the reward for all his years labouring in the Lord’s vineyard, often discouraged and stressed. But now he can say: “at last I am reborn“! to be spontaneous, inventive, smart, funny, daring and all the time dreading I would not be loved, understood, admired and thought of as innovative and creative… the effort nearly killed me. I feel my spirit soar and I hear the congregation answering with fervour and gusto. THEY like it (I have 5 Church Communities of mixed Aussie, Aboriginal, Torres Strait, Filipino, Chinese, English, Irish, Polish). It lacked something. And now I know what it is; the Masses lacked God, reverence, awe, beauty, mystery, and humility. At last I feel humble as I pray. At last it is not about me but about God. At last I am praying the Mass not ‘saying’ it; at last I have been reborn!! Fr Laurie Bissett MSC is an inspiring man. He has not let years of sometimes (seemingly!) routine pastoral labour close his mind or his spirit. Instead he has been renewed in his ministry by the new Missal. His experience reminds us that the Holy Spirit always works within the Church, never against it. May the Lord continue to bless Fr Bissett and his people. Fr Bissett has me excited. The revised Missal – bring it on! P.S. Soon there will be a series of posts here about aspects of the revised Missal as an aid to our preparation for its implementation. Hopefully the series will complement and not duplicate the excellent work of others. Father, thank you for sharing these very interesting responses from such widely varied sources at the other side of the world. Thank God priests realise they no longer feel pressure to entertain! Amen to that, my friend! I’m about to start properly digging into the revised translation myself – looking forward to your posts. Some preparatory work will pay off, trust me. And of course, I have some work to do for you as well! It was a joy to read of another priest’s delight with the new translation, and from a mission territory. I have been using it in toto since Pentecost, thanks to an interim Missal from the Brisbane Liturgical Commission and the Collect prayer etc from the website Wikispooks Roman Missal (US PDF). It is difficult to find words to describe the difference between the new and former translation. Those that have done the hard work of translation over many years are to be congratulated. If I was Pope I would award all the non-bishops at ICEL and Vox Clara with the title Monsignor. Fr Ronan, pax autem tibi! You are a man after my own heart. When I have celebrated conventual Mass or a school Mass I have used the propers from the new Missal. I long for the day when I can use the whole Missal. I see you have used some initiative and made use of thew Wikispooks leaked texts. You will need no readjustment time at all when the whole Missal is published. If I remember rightly you celebrated Mass at Jamberoo some years back when the chaplain was ill, and a worthy celebration it was too. You will be a safe pair of hands for the new Missal. Nice to see you back blogging again! And very nice post. The new missal certainly makes a difference to the laity too! This may upset the serendipity of comments here, but my disappointment is that you have latched on to Fr. L Bissett’s view on the new translation, but not on his earlier views on experiencing the dreadful treatment of asylum seekers (CathNews: Priest’s detention centre shock. Published: June 13, 2011). I’d gamble on what is the priority in God’s eyes. Let me also be pedantic; as you are praising a translation from the Latin, might I point out your reply to Fr.-Ronan ‘pax autem tibi’- I presume you mean ‘also’, as you are in agreement with him; yet autem means ‘however’, ‘but’ and ‘nevertheless’, suggesting disagreement. For ‘also’ try ‘quoque, et, or etiam’. It just shows there is another perspective on translation vs. meaning. Your point is taken about the use of autem, which I used in haste and the haste has shown. However since I was talking about the Missal, Fr Bissett’s comments on asylum seekers are hardly relevant to the point I was making. Indeed, I had not come across them at all, so quoting them was not on the cards. Yet, if he deplores the mistreatment of asylum seekers then I fully support him, for the record. What troubles me is your implication that the Mass is somehow of lesser importance. Since it is the renewal of, and making present and active of, Christ’s sacrifice which is the only thing that saves the world, it is the most important thing we do in the Church, the source and summit of a Christian’s life as the Council would put it. Obviously it is a sacrifice which must bear fruit in our lives through mercy and true charity, otherwise we do little more than mock God. But there is other fruit that we must bear, like obedience and faithfulness. I think God’s priority is better expressed in more general terms: that we worship him in spirit and in truth, and so bear much fruit to his glory. Come on, Fr. Hugh, I did not say, nor imply that the Mass was of lesser importance; I queried the importance of the comparison of the new translation over the previous translation used for 30 or 40 years. Fr. Bisset’s experience of the new translation is personal, and combined with two other priests’ opinions has been raised to a general approbation of it liturgically, and now theologically, by yourself. That gives scarce credit to the thousands of faithful and scholars who disagree with it both liturgically and theologically. I take your point re the asylum seekers question, but I wanted to declare that in my opinion it was a far more valuable statement than the one on the translation. Pax autem omnibus. You gambled on what would be the priority in God’s eyes – the revised Missal or asylum seekers, and I can find no comparison of the old Missal to the revised one in your words. That is why I found the implication I did. Of course Fr Bissett’s experience is personal, and I never said it was anything else. It is relevant because he has actually used it in worship and not just studied it as a written text. I chose to highlight it because I found it both relevant and inspiring and I shall not apologise for doing so. Moreover, since he is a missionary and not someone intimately involved with liturgical debates, I found his pastoral experience highly pertinent. It is more than possible that some could object to the translation on stylistic grounds, and indeed in some points I find it clunky. But that a faithful translation can be disagreed with liturgically let alone theologically astounds me. It reveals how little the Council has been read in practice, and how so many seem to want authority in the Church to be democratic in the worst sense of the term. Christ did not ordain a committee, nor decree democracy as the mode of authority and governance in the Church. Neither I nor anyone else can change that fact. Pax. 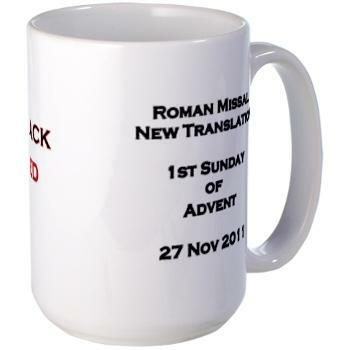 ..By ….Over the past several years you have heard much through newspapers blog postings and Twitter about the forthcoming revised English translation of The Roman Missal. You may be wondering What is The Roman Missal and how does this translation affect us? ….Take notice of the red book the priest uses most often during Mass.